I thought I would make a thread for all my current, and future projects I make when I'm bored(if on the odd chance someone is interested), instead of keep making more topics. Today I stated to make a random game/simulator of a game of woot, there are six players on each team, and they try and kill each other. I originally did this with projectiles instead of instagib, but I went back to the instagib style. 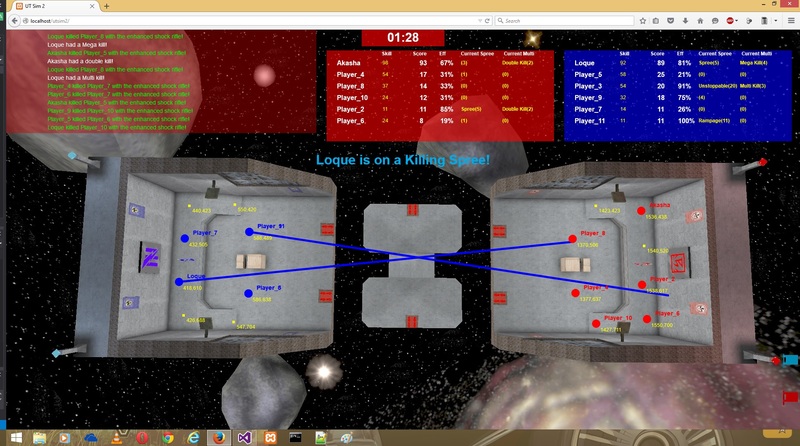 The players don't move yet, I plan to make them play a game of CTF in the future, and give each player specific tasks, e.g defending, attacking,camping... Each player has different skill levels, and this affects the way the player plays. While uploading the video I added "x spree was ended by y", and a few other things. Is this made in HTML5? or php? Darren html5 is a markup language, its not the same thing as a programming or scripting language, some people find the need to rage at people for putting html in the same category. Last edited by UT-Sniper-SJA94; 08-26-2015 at 07:27 AM. Honestly, what's great about React + Flux is that it makes everything really simple, so you probably won't need any books to get started with those. Try to find some tutorials made within the last few months and you should be set. (I say last few months because things are moving forwards pretty quickly right now.) Although, assuming you don't have a Linux machine (or Mac) readily available, I'd install Ubuntu Server (just command line stuff) on a VM and run NodeJS from there. I'd be glad to find you some good tutorials when I get a chance. If you learn c++ first, every other language will be easy to learn. Free ebooks for programming and other IT stuff, I use it to have a look at a book before I buy them. 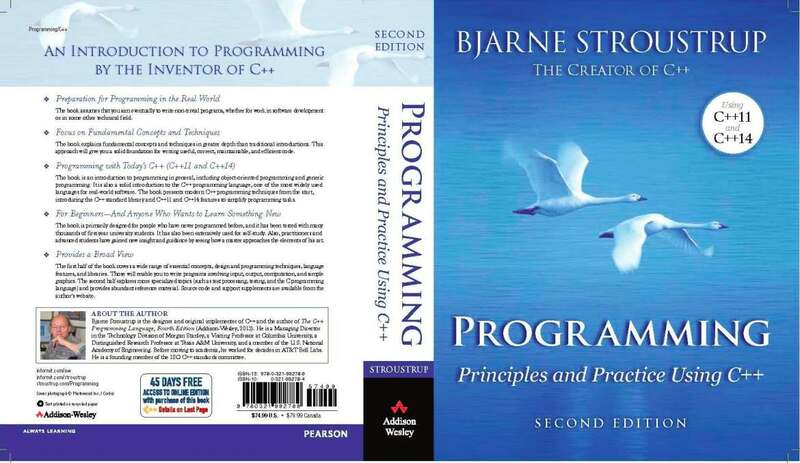 In the c++ book I have, the author(and creator of c++) recommends the book called "Programming, Principles and Practice using c++(Bjarne Stroustrup)" for beginners. Last edited by UT-Sniper-SJA94; 08-27-2015 at 11:51 AM. I know a guy (Who's been actually my mentor, one of my dad's friend) who has that book IRL. I've read it time to time. Seriously programming has been one of the funniest things I've done. Now with all this UT lags I've found it even more interesting.